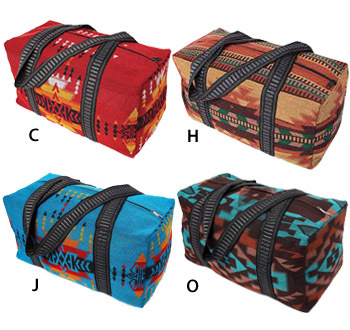 Each bag measures 18" x 8" x 8" and features a beautiful Southwest pattern. Choose Turquoise, Tan, Red or Black. Only 2 left available of C - Red.